LANSING, Mich. — As hinted in his last piece, state Sen. Ken Horn has made another stop in Frankenmuth on his Hometown Jobs tour for part two of a special three-part series. In part one, Horn visited the Bavarian Inn to prepare chicken dinners, and during part two the senator celebrated “Christmas in July” with a stop at the world-famous Bronner’s CHRISTmas Wonderland. Carla Bronner-Spletzer — Bronner’s vice president and daughter of the fabled Wally Bronner — and her staff developed an itinerary that kept the senator busy during his visit to the world’s largest Christmas store. The tour began with a brief look at the history of the business as Bronner-Spletzer and Horn slowly made their way through the Wally Bronner display and casually discussed the life and legacy of the late Bronner. As they looked over various memorabilia from Bronner’s life, Bronner-Spletzer walked Horn through the history of what started as a hobby in 1945 in the basement of the young Bronner’s parents’ house and finished with the 27-acre complex that currently stands today and now employs three generations of the family. 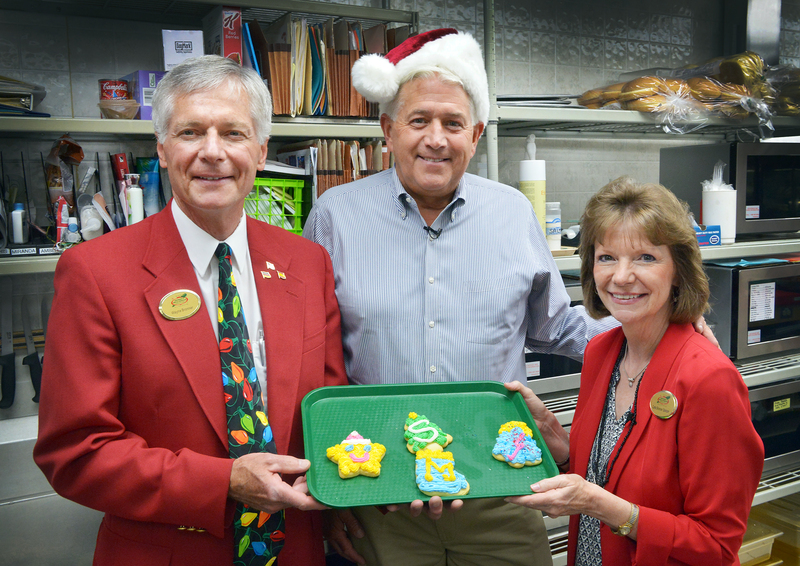 Bronner-Spletzer then guided Horn through a maze of ornaments and lights to the cafeteria where he would be working with Bronner’s snack-area staff to decorate Christmas cookies. After a rough start, the staff on hand taught Horn a few tricks and things began to move a bit more smoothly as he worked his way through a small tray. After leaving the bakery, Horn made a stop in the ornament section and gave one of Bronner’s most popular attractions a try. 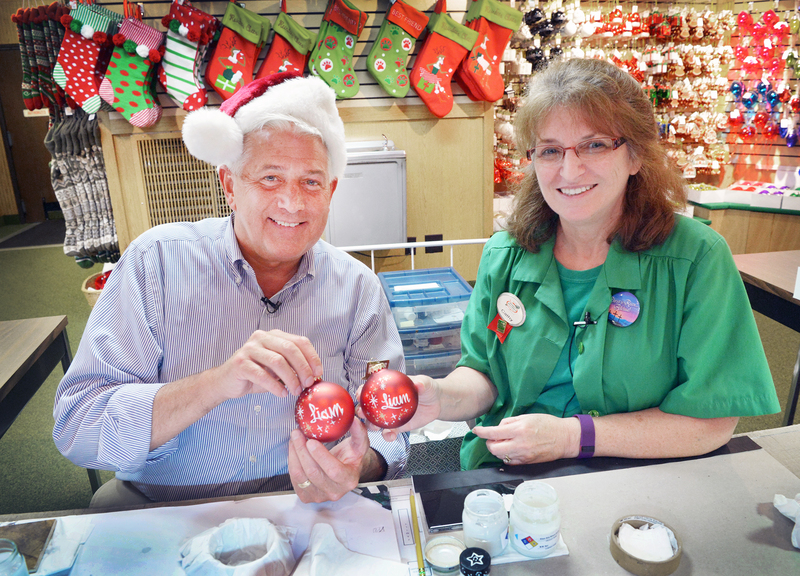 Under the guidance of one of the store’s professional artists, Horn personalized two ornaments, one for his grandson Liam and the other for his granddaughter Zellie. After the painting was completed and the ornaments were given time to dry, they were walked over to the checkout area where they were carefully wrapped in a protective layer of tissue paper and packaged to safely make the ride home. Anyone who has been to Bronner’s knows the showroom is packed with lights, ornaments, figurines and several hundred Christmas trees. The next step on the tour led Horn to the back room where the trees are wrapped with lights and prepared for the showroom. While in the warehouse area of the store, Bronner-Spletzer also walked Horn through their shipping area where the store’s online and catalog orders are processed, resulting in the shipment of about 220,000 packages each year. “During the tour this area was calm and everything was going smoothly and orderly. However, as the season approaches and things get ramped up, the shipping staff increases exponentially to prepare for and handle the season rush,” Horn said. “They have right around 250 year-round employees, but by the time Christmas season arrives, which typically runs from October to late December, they have brought on nearly 500 more seasonal employees. As the afternoon came to a close, and everyone was getting ready to part ways, the tour made one last stop on the office side of the store. “After we left the showroom we stopped back for a brief look at the office side of the operation,” Horn said. “As I made my way through, I volunteered to field some calls and try and assist a few customers. The call volume increased quickly and it was a bit more hectic than I had predicted. The office staff at Bronner’s are true professionals who are able to handle the large variety of calls that come in on a daily basis. “I want to give special thanks to Wayne Bronner and Carla Bronner-Spletzer for allowing me to tour their family business and get a look at the operation that is normally reserved for employees. It was surprising how much I never knew about the world-famous store right in my own community. In closing, Horn hinted to those from the area that the next tour will be where Bronner’s was originally located. 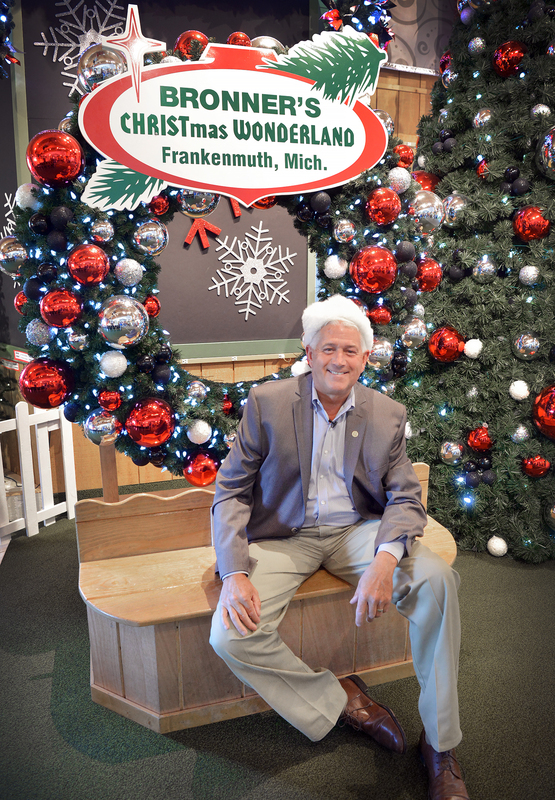 PHOTO 1 CAPTION: Sen. Ken Horn, R-Frankenmuth, stops at the wreath inside the west entrance to Bronner’s, which is one of the store’s most popular photo attractions. PHOTO 2 CAPTION: Sen. Ken Horn, R-Frankenmuth, poses for a photo with President Wayne Bronner and Vice President Carla Bronner-Spletzer. Both are children of founder Wally Bronner. PHOTO 3 CAPTION: Sen. Ken Horn, R-Frankenmuth, compares his artwork with that of one of Bronner’s professional ornament painters. PHOTO 4 CAPTION: Sen. Ken Horn, R-Frankenmuth, places a recently processed and packaged item on the conveyor belt where it will head out for shipment.